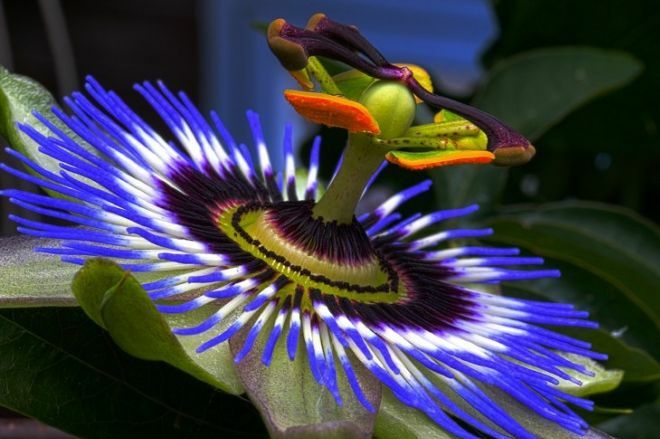 The beautiful passion flower, native to the Americas, has been used for hundreds of years to heal a number of illnesses. Its name was coined in the 15th century by Spanish missionaries in Peru, who felt that it was symbolic of Christ’s crucifixion. This stunning flower is still used by natural healers to this day. Keep reading to learn all about it. 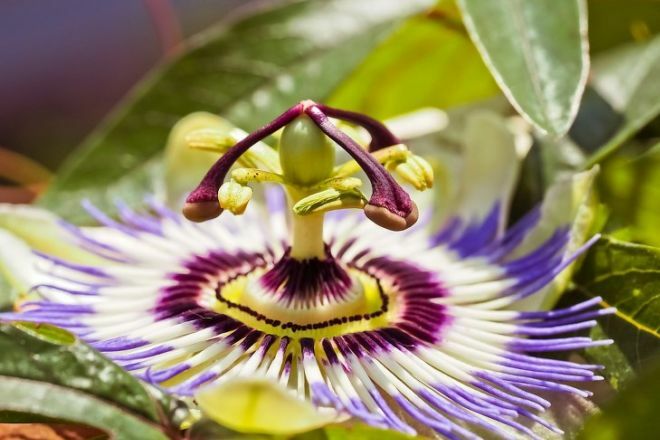 What’s in a Passion Flower? 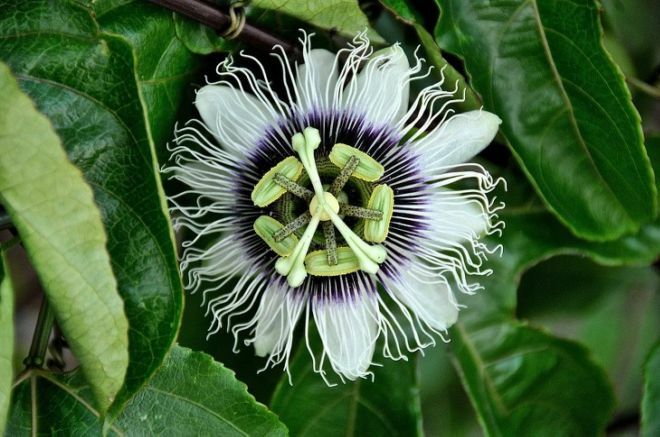 Passion flowers contain many potent chemicals, in particular, a whole host of alkaloids and flavonoids. The alkaloids they contain are harman, harmine, harmaline, harmalol, and passaflorine. The flavinoids they contain are isovitexin, kaempferol, luteolin, apigenin, various glycosides, homoorientin, rutin, saponaretin, saponarin, orientin, quercetin, and vitexen. Research shows that passion flower extracts may help to reduce high blood pressure (hypertension). Studies show that one cup of passion flower tea a day can help in the regulation of blood pressure levels in people with mild hypertension. A word of warning though – people on blood pressure medication avoid this herb since it may lower blood pressure to hazardous levels. Passion flower has been found to alleviate a number of symptoms related to the menopause, such as night sweat and hot flashes. Passion flower also helps to reduce the activity of depression-inducing brain cells, as well as causing the brain to become more balanced overall. Those people who find it hard to get a good night’s sleep may want to consider consuming more passion flower. This is because it is able to reduce a good deal of the anxiety so often associated with insomnia. What’s more, it is also an effective muscle relaxant, which also promotes a good night’s sleep. Passion flowers are bursting with powerful anti-inflammatory and antioxidant effects. 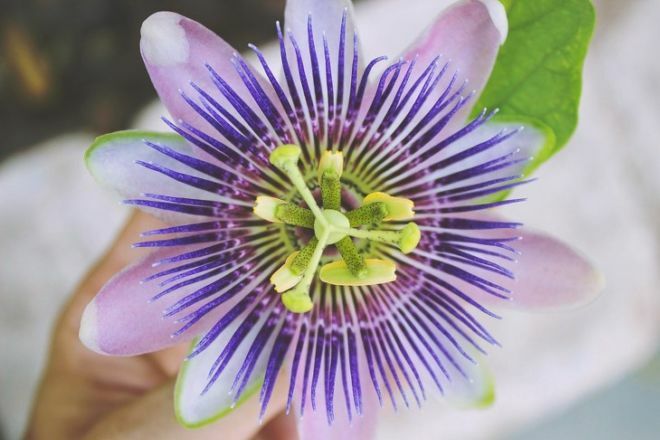 This is why passion flowers are perfect for the natural treatment of mild-to-moderate pain, as well as for getting rid of harmful free radical molecules that have been found to be one of the primary causes of aging. 1. Never consume passion flower if pregnant, breastfeeding or suffering from liver disease/damage. 2. Due to its sedative effects, driving or operating machinery should be avoided after the consumption of passion flower. 3. Passion flower can interfere with blood pressure and blood thinning drugs. Check with your doctor before consuming passion flower if you are on any form of medication.